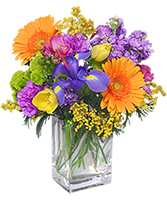 MAKE A SPLASH WITH THIS BOUQUET OF SUMMER FLOWERS FROM SHERWOOD PANDA FLOWERS. Sending a bright, colorful floral arrangement is the perfect way to bring a little unexpected joy to a loved one, co-worker or friend this summer. Call our flower shop or order flowers online, anytime! Sending flowers is the perfect way to celebrate a special day! 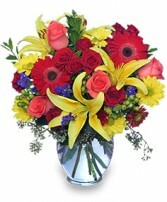 Show how much you care and surprise someone today with this Celebrate the Day bouquet from SHERWOOD PANDA FLOWERS. RETURN THE LOVE... SEND FLOWERS! To Send a Fresh Flower Arrangement in the Sherwood Park, AB area, Call SHERWOOD PANDA FLOWERS Direct or Order Flowers Online 24/7. 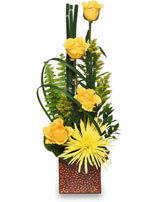 Best Sellers update weekly with the favorite arrangements of the people of Sherwood Park. If you want to send flowers to a friend, these trendy blooms are a great place to start. 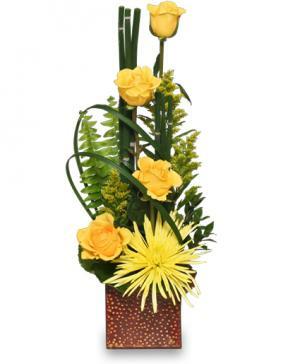 Let SHERWOOD PANDA FLOWERS create any of these best sellers for your home or party.